June 3rd 2010 I'm following a more healthy lifestyle. Keeping mindset toward more natural foods. I'm Dianna, a Libra born on September 28th. I reside in Washington State. 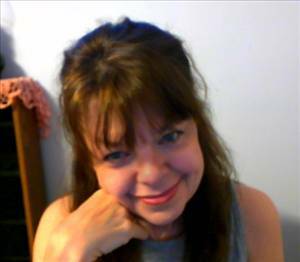 I'm 56, 5 feet tall and disabled with fibromyalgia which quickly put extra weight on me when I could no longer work and was dxd with T2 diabetes. I love IncrediMail, Netflix, psp, ps3, kinnect AND my Wii! Update;February 27th, 2014, well I kept gaining after my son fell ill then passed in May of 2013. So starting over now. Update; March 23rd 2013, I gained 30Lbs from the year and a half after I moved to be near to my family but I wouldn't trade anything as even with the stress, spending time with my grand is a priceless memory. Now moved back home last week, I'm up to the challenge of getting my health back on track even with my "new" physical problem. I had trouble with pain in my joints before but it's been worse these last 6 months. I'm looking forward to finding a doctor who might help with my pain issues. Does anyone here use a Soup Maker machine??? Se5girl, that's what I'm hoping for...and not having to watch the pot lol. Thank you so much Vickie. Your feedback is so helpful. I read several reviews and would need a small microwave pressure cooker as my microwave is smallish. I struggle with ziplock bags lol so wonder how successful I could be at this. The ones I saw with good ratings were expensive (39$ for the large) but I'll keep looking as I think it could be useful. Been researching all day and think I'll get the soup maker. The beauty is it crushes ice, makes milkshakes and smoothies too so it's not just a one use item. Obviously, milkshakes aren't on my menu just now "wink". I've tried many things trying to make my daily living more productive without exhausting me. I'm willing to try most anything as my kids are too far away to help me with anything. I've purchased little plastic plates, bowls and cups as my stoneware was just far too heavy anymore. Much appreciated, Vickie. Have you used a microwave pressure cooker or have one you might recommend? I can't watch QVC but can check on the Internet. It's certainly something to consider. Never had one and haven't used my microwave for much cooking, just reheating. I have a hand blender, which I considered. I do eat a lot of soups even in the summer if I have them. The store bought are expensive for me. I have severe energy issues with my fibromyalgia so I'm always on the hunt for easier/less taxing ways to manage my life. It could turnout more work instead of less which I'm trying to avoid. The idea of throwing food into a pot that also can be set for smooth or chunky and walk away till it's done sounds pretty good to me. A crockpot, which I have, I use to make stock. To cook meals, it just takes too long. Well that didn't work. My PC crashed some time ago and this stupid tablet just isn't the same. Anyway the video is on YouTube. This group is for anyone who is in some way affected by Diabetes. Past, Present, or Future... You or a loved one! Come join! For Fat Secret members wanting to get their move on with Fitbit. 50 somethings who have reached their goal and want to maintain their weight. Jolt and Twinkies are the stereotypical staples for pen & paper, video and trading card gamers but we can do better.